My 3 Monsters: You Know What Today Day Is, Right? Just ignore that it contradicts itself by saying Pi has been computed to over a trillion digits, but there are only 6.4 billion known digits. Whatever. The rest is really interesting. At least I think so. My family? Not so interested in Pi. But they do love PIE so today we celebrate! Who am I kidding?! I'm a bigger fan of PIE than Pi myself. 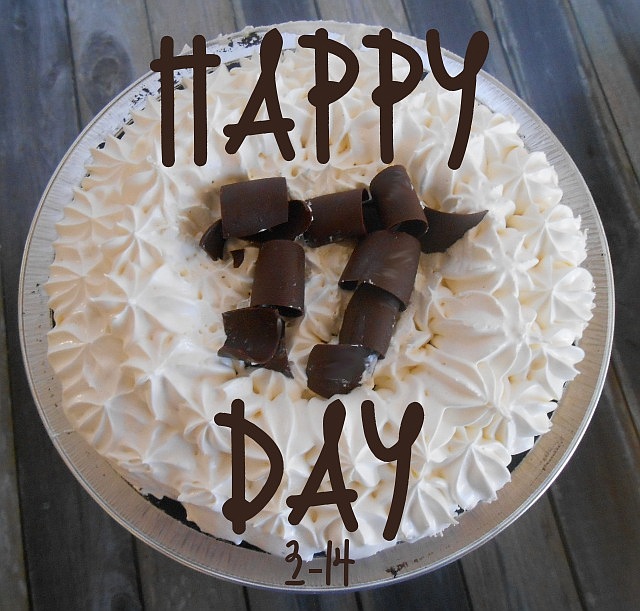 I've had a Marie Callender's Chocolate Satin pie instead of cake for my birthday every year for most of my adult life. It's my very most favorite decadent treat. Drooling yet? If you want to celebrate Pi day along with us, Marie Callender's can help y'all out. Check their website to see the variety of pot pies and dessert pies that they offer and visit their blog to get some fun Pi Day party and craft ideas. 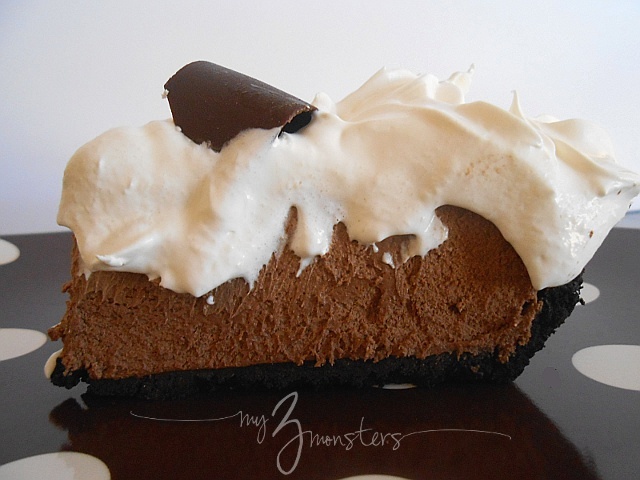 There's also a great printable coupon for $1.50 off a Marie Callender's pie. Now that's a sweet Pi Day present. Run along and celebrate, friends! I knew you as a math nerd! I was so jealous! Awwww Emily, you were as big a math nerd as I was, if I recall!